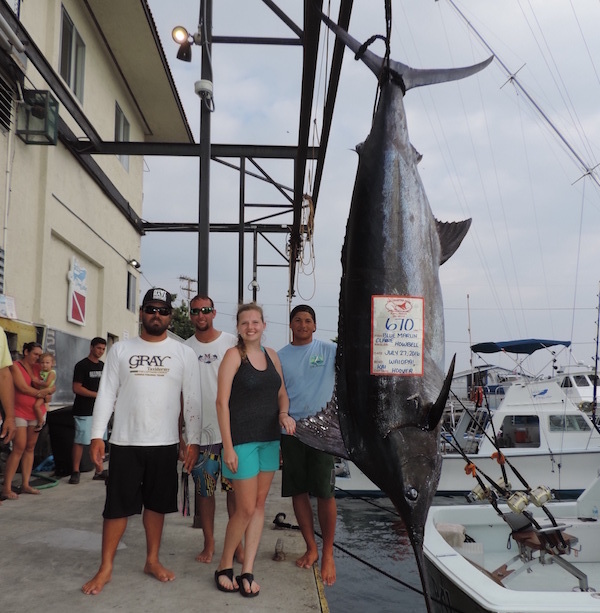 Welcome to Waiopai Sport Fishing Charters, Hawaii. Fun for the entire family. We are based out of world famous Honokohau Marina in Kailua-Kona Hawaii. Kona is famous for the calm blue deep waters of the Pacific Ocean. Just minutes away from the harbor you can catch giant Pacific Blue Marlin. We can accommodate any type of fishing, from light tackle to the big Shimano 130’s. 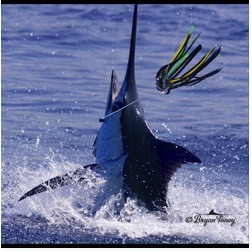 Our fishing techniques consist of Trolling with lures, dropping bait down deep for big Ahi or you might want to try our newest addition, the "Green Stick", as seen on the hit series "Wicked Tuna". Call Captain Kai Hoover direct to plan your fishing adventure. You can be confident he will give you 100 % effort. 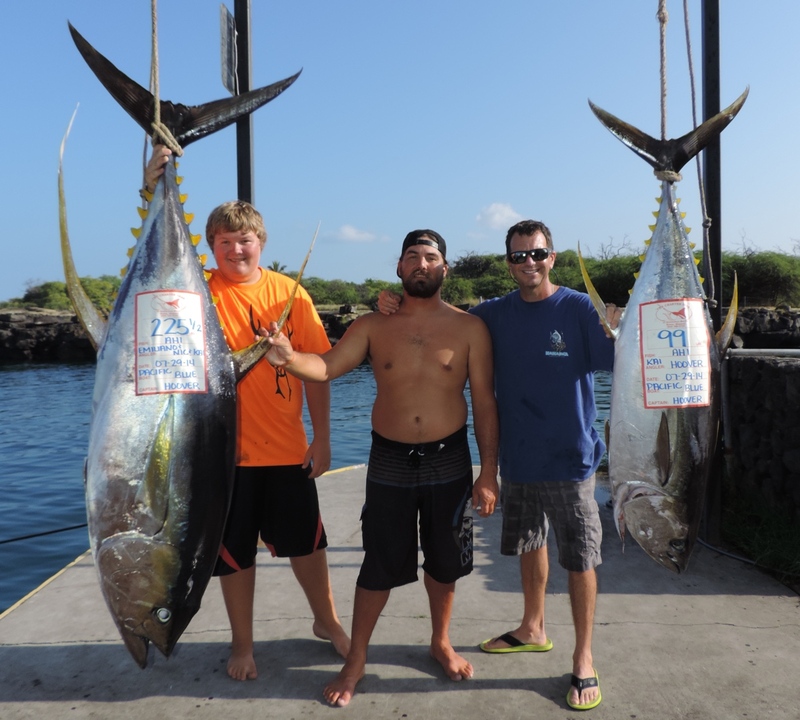 If you are planning a Hawaiian vacation, you owe it to yourself to give deep sea fishing a try!. 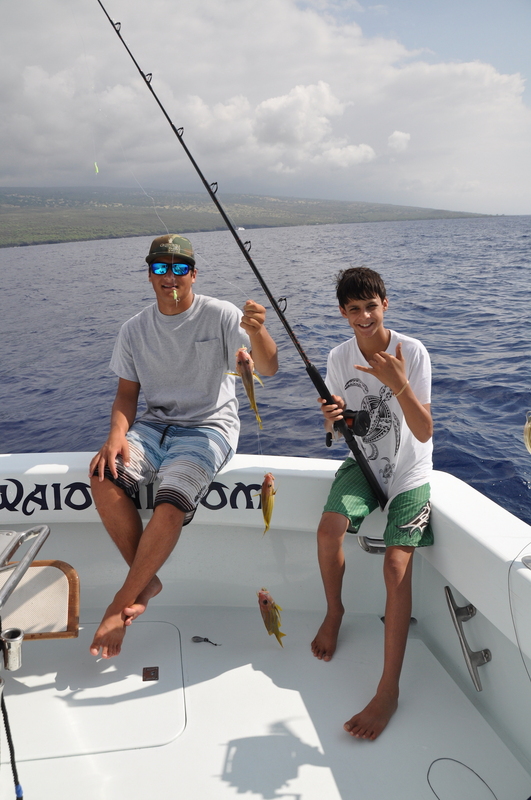 Captain Kai Hoover with the Waiopai's biggest fish of the summer. Call Captain Kai Hoover direct!! Call now to book your charter!! We have double AC units, comfortable couch, TV with dvd player, full size refrigerator, microwave oven, stove. All just for you. We offer custom overnight fishing trips. The picture shows a successful “Ika Shibi” overnighter. Kona is one of the best places in the world to compete in big game fishing tournaments. The Honokohau marina is located just minutes away from some great hotels, sandy beaches as well as other tourist attractions. Tournament season is during the summer. Call us to book your tournament! We are still available for some of the Kona 2017 summer tournaments: Click here to see what's available. 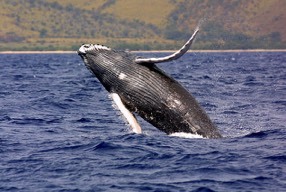 Winter is Humpback whale season! We love to show you a good time. Book us for a private whale watching charter. Same as the fishing rates, up to six people!! 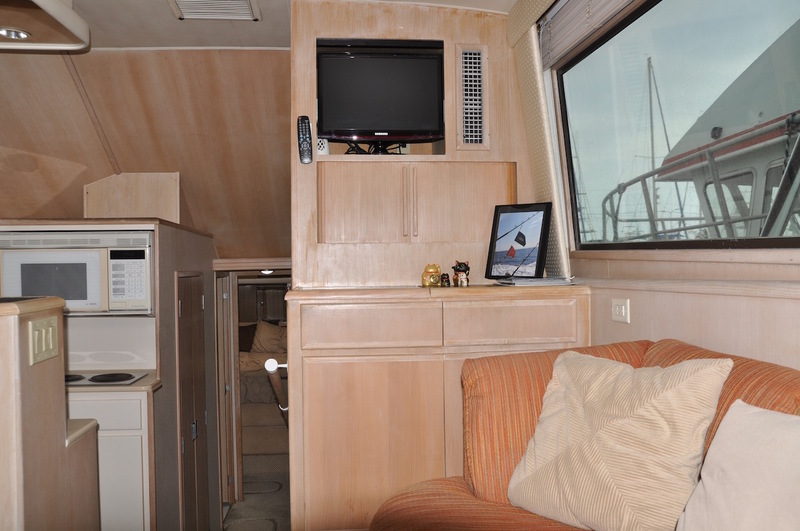 Go whale watching in Style, why fight the crowds? 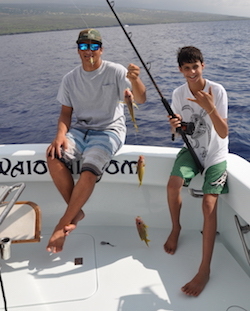 We took a break and did some bottom fishing for the kids, lots of fun!! 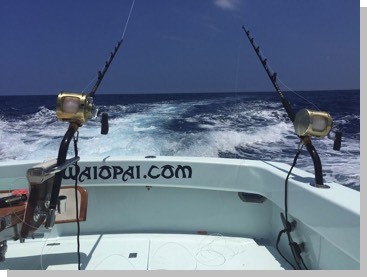 Here at Waiopai sport fishing we are passionate about what we do. We pride ourselves with the condition of our boat and tackle as well as pleasing our guests. We still like old fashion conversation best to discuss your perfect fishing charter. Kona is the Giant Pacific Blue Marlin capital of the world. You can catch a "Grander" 5 minutes from the harbor!! Big Game Sports Fishing is our specialty. 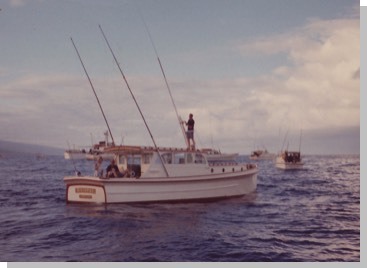 The original Waiopai, 1963, skippered by my father in law, Richard “Manduke” Baldwin.